Bargain shoppers, luxury fashionistas, bookworms, foodies: Taiwan is your go-to place for some shop-til-you-drop therapy. This country serves up some of the most fashionable finds, an amazingly wide selection of books, and some of the tastiest dishes too – all at ridiculously amazing prices. Are you visiting Taiwan soon? Make sure you take a big suitcase so you can come back with it full of great shopping items. 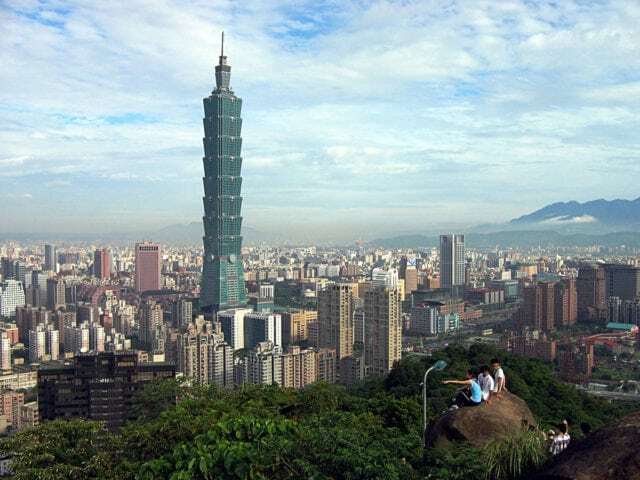 Here’s a rundown of the best places to shop for food, fashion and souvenirs i n Taipei. Xi Men Ding is where you go when you want pieces that are unique – this is where you go when what you want is the non-mainstream fashion. It’s where Taiwan’s fashion subculture and Japanese culture live and thrive, and it features rows of clubs, pubs, and restaurants for some after-shopping munchies. Maybe you shop not because you want great fashion finds, but because you want to geek out over artists. If this sounds like you, head over to Tian Mu Weekend Market. This weekend market has two sections for you to explore: the art market, and the secondhand market. Tian Mu has a lot of hard-to-find handicraft items, and artists also come here every now and then to share their art with patrons. As the name suggests, Sky Blue Bag Shop is where you go if you want a really good (read: reliable yet stunning) bag. They feature a huge variety of designs and colours, all at reasonable prices – so whether it’s a backpack you need for your next trip out of town or a work bag that doesn’t hurt your morning commute, Sky Blue Bag Shop is where you shop for great deals. Some like to shop in little bits and pieces, but some like to shop by getting as many as they can all in one go. 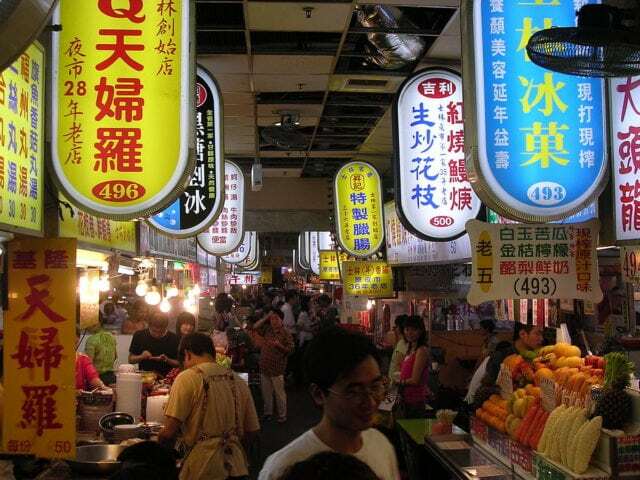 At Wu Fen Pu, you can do exactly just that – this is the wholesale market of Taiwan, which means you can get pretty awesome discounts on clothing and accessories. At Wu Fen Pu, the saying “the more the merrier” rings true – the more you buy, the more discounts you get. If you’ve ever shopped with other people before, you’d know that it’s a bit hard to find a place where everyone’s happy – tastes are just different, and so are budgets. But ATT 4 Fun promises a different kind of experience. You will not run out of what to buy options here. 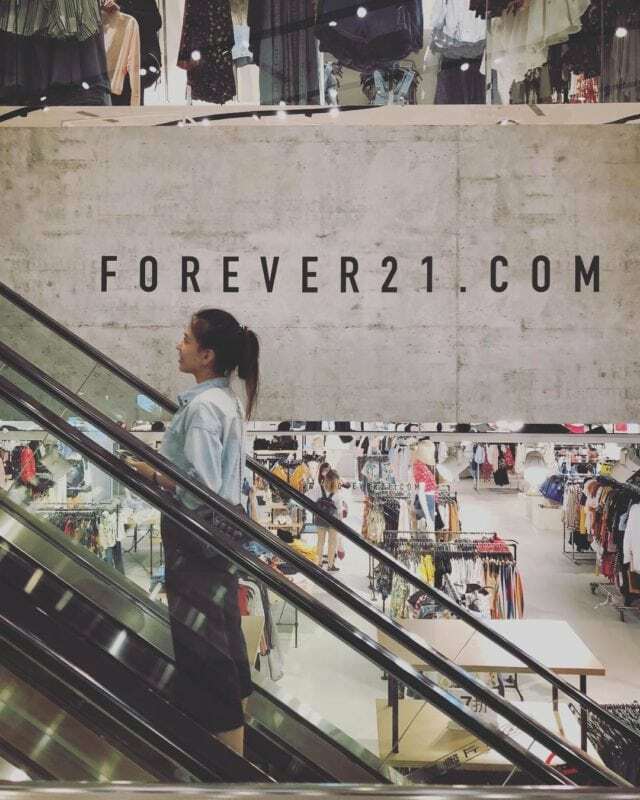 They feature small to mid-range brands and boutiques, so you’re sure you won’t break your wallet, and there are several floors lined with the latest fashion trends. It’s great for groups who have different budgets and styles! Who says you can’t binge and bargain at the same time? 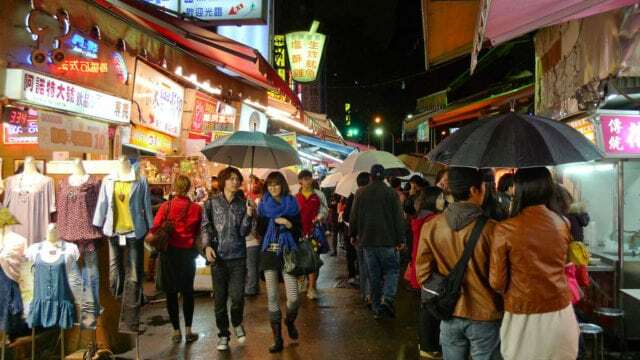 Foodies who love to shop (or fashionistas who love to eat) would find a unique, urban gem in the Taipei Shida Night Market. There’s a whole bunch of stores lined with very affordable clothes, and you’re free to exercise your haggling skills here! 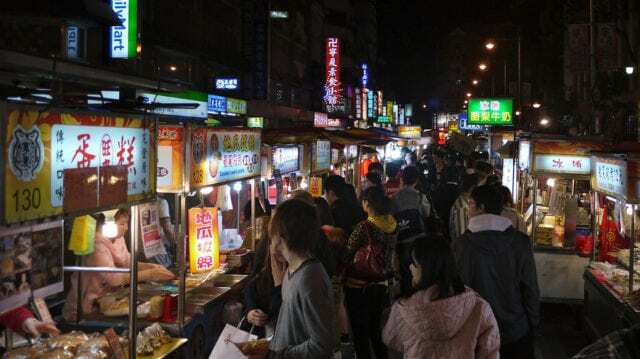 The Shida Night Market is famous for its street food snacks too, so don’t forget to get a quick bite or two while you shop. 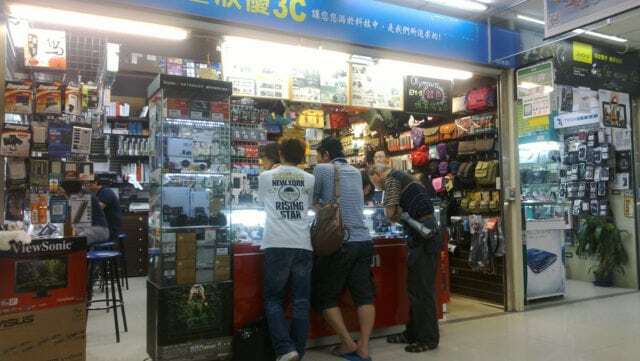 Taiwan is known to be one of the best countries to get bargain deals for gadgets, and Guang Hua Market is the best place in Taiwan for just that. It’s the biggest electronic and computer shopping centre in Taiwan, and it carries a lot of gadgets like mobile phones, laptops, tablets and more. They also have a bunch of accessories too – and you can haggle to get even better prices! 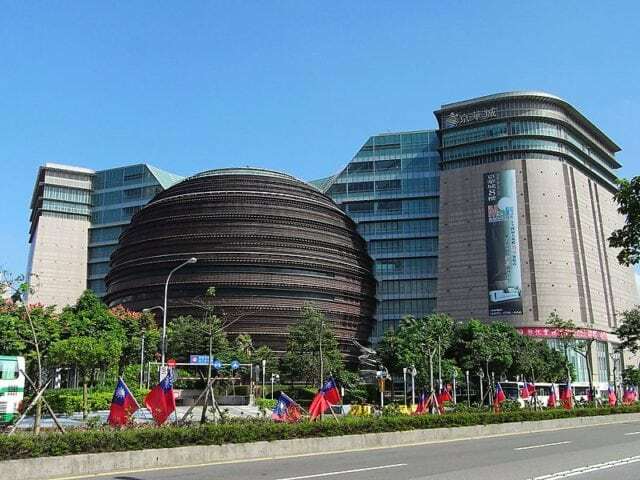 The Living Mall is a living legend – it’s one of Taiwan’s most well-known shopping centres. Aside from its wide selection of shopping options, Living Mall also has a lot of kid-friendly attractions (so yes, you don’t have to worry about the little ones while you’re out enjoying yourself with some retail therapy). It’s beautifully designed too so you might want to take a few snaps of the mall on your way out! We get it: not all shoppers want to shop for clothes. If your guilty pleasure comes in the form of book-shopping binges, we suggest paying a visit to the Eslite Spectrum Shopping Mall. 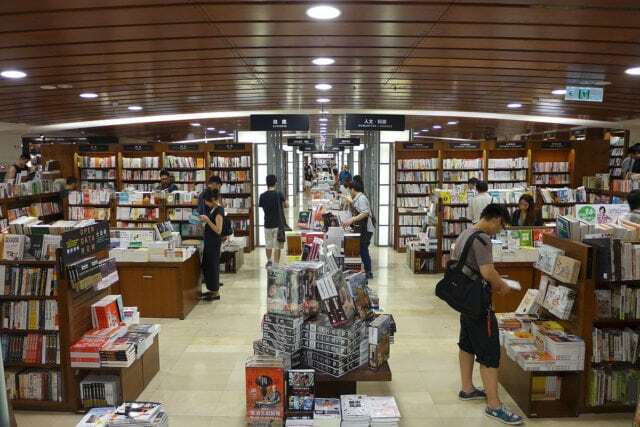 It has the largest bookstore chain in Taiwan – and in fact, it might just knock you out breathless with its collection of 10 million books. Aside from books, the Eslite Spectrum Shopping Mall also has a lot of knick-knacks you can take home as quirky and unique souvenirs. What do you get when you put an alfresco party, a shopping district, and a lot of food all in one place? The Shihlin Night Market. 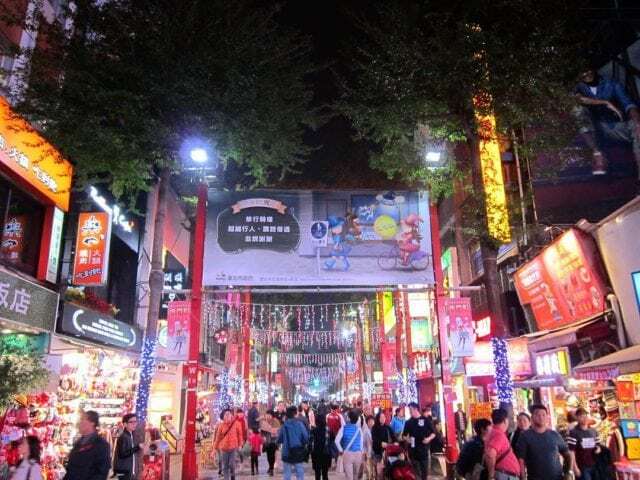 This night market is the biggest one in the city, and you’d recognize it by the delicious smell of the food coming from its many stalls and the vibrant and buzzing nightlife inside. If you won’t come for the shopping, we’re pretty sure you’d drop by anyway for the food and the ambience. Ningxia Night Market is where the foodies go. Trust us, you’d want a bite of everything they serve here – and if you can, you should definitely go for it. They serve a lot of different kinds of Taiwanese street food and has grown in popularity among the locals since its founding decades ago. This is not your traditional haven for “shopping,” per se, but if you can shop for things to wear, we strongly think that you can shop for food and drinks. See if you can find good oolong tea or perhaps pineapple cake. Buying food here would be as much fun as shopping for clothes. Bookworms, get ready to rejoice: Eslite Xin Yi is here for you. 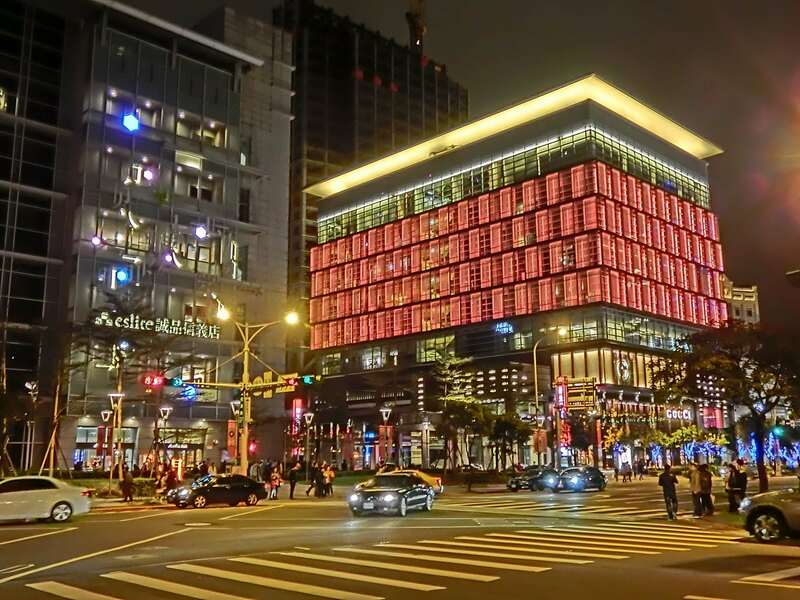 This eight-storey building has over 10 million books that will make you want to just stay here, curled up with a good read, but there’s a lot to Eslite Xin Yi that you can explore too. This shopping mall is designed to revolve around the reading lifestyle so you can find other items too to help with your reading hobby. We know it’s a bit counterintuitive and odd to recommend a temple as a shopping destination, but hear us out. 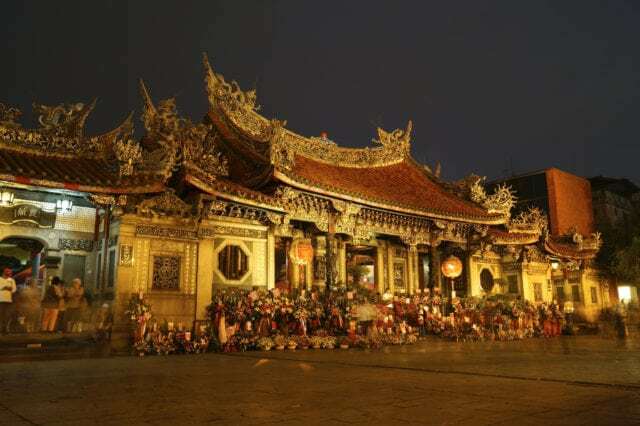 Longshan Temple looks like any other temple from the outside – lots of culture to experience, and lots of locals to talk to. But when you venture deeper (quite literally), Longshan Temple actually has a sprawling and vibrant underground bazaar filled with knick-knacks, clothes, food and more – definitely worth the visit, if you ask us! Any true shopper knows not to pass up opportunities to savour and sample through Taiwan’s cuisine – and trust us when we say that Yong Kang Street is the best place to do just that. The world’s first ever Din Tai Fung is nested here, and this street is lined with rows upon rows of restaurants good for any budget and any taste – Japanese, Chinese, Western and even fusion. 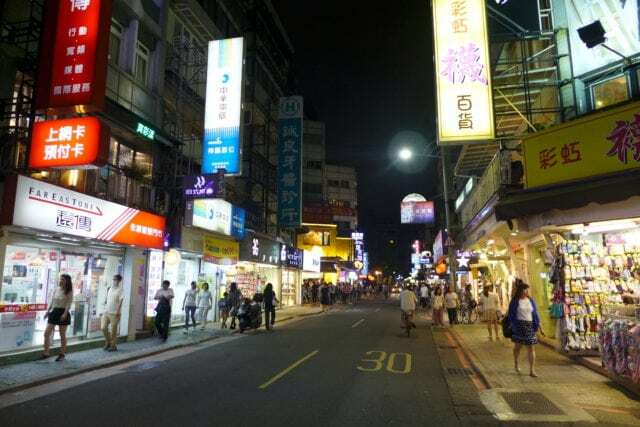 At night, Yong Kang Street transforms into a well-loved night market with various street food stalls. A Taiwan shopping spree isn’t complete with a high-end fashion shopping binge – and the best place to satiate your appetite for luxury is Taipei 101. Taipei 101 is one of the world’s tallest skyscrapers, so it’s definitely not hard to miss. From the outside, Taipei 101 is a tourist attraction because of this, but inside, Taipei 101 is a powerhouse of luxury brands. Its 35th floor is also outfitted with a Starbucks, so feel free to enjoy a cup of coffee complete with great views after you shop! We know you’ll be tempted to shop through all 15 of these destinations – we sure were. It’s hard to pass up any of these shopping destinations because they’re tourist attractions in themselves – every place has a unique atmosphere and a unique selection of shops too. 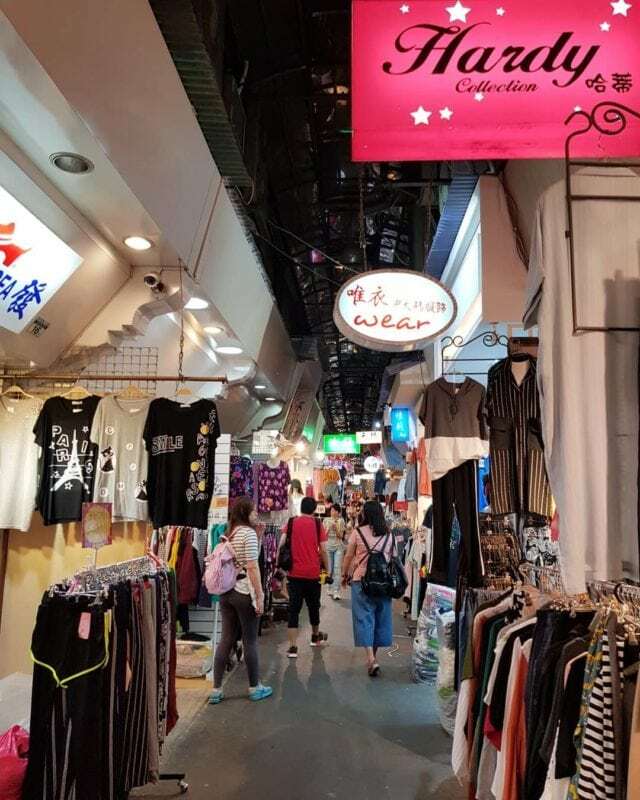 But if you feel it’s time to cut back on your other travel expenses to give way to your Taiwan shopping spree, by all means, do it: shopping in Taiwan is unlike any other. 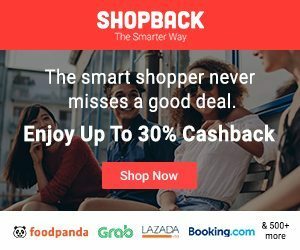 For this, you can check out ShopBack’s huge collection of travel deals – we got you covered from plane tickets to lodging with great offers like Booking.com promotions or Klook promo codes!